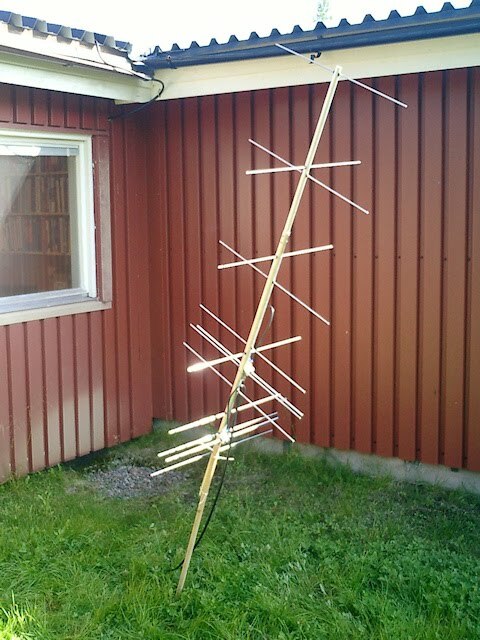 Kilpisjärvi Atmospheric Imaging Receiver Array: Simple antennas, but lots of them! Apart from the tools in the lower right of the photograph... that's it! 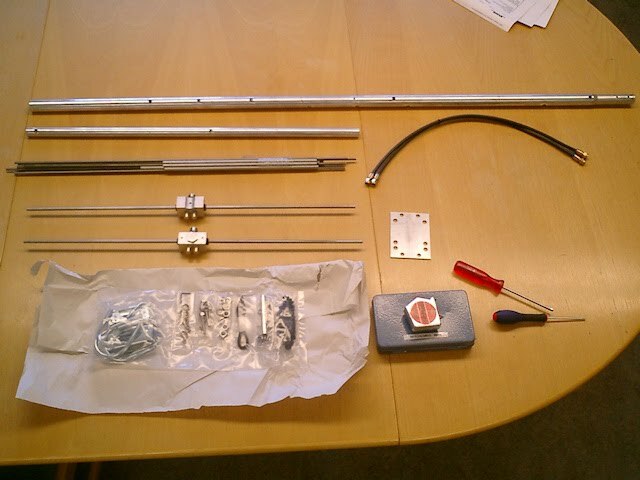 When built, the aerial looks like this (shown here at the back of the control building at Kiruna in 2006, before the construction of the actual test array). 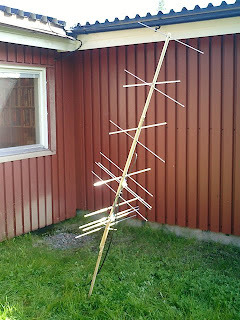 It was simply attached to a post hammered into the ground at roughly the right angle, to look towards a section of the atmosphere being 'illuminated' by the radio signals of the VHF transmitter from Tromsø. But that's the whole idea! In order for EISCAT (or for that matter, KAIRA, LOFAR or SKA) to work, they rely on a multitude of simple antennas. Each one must be capable of receiving the correct radio frequencies with high fidelity, but as cheaply as absolutely possible. Then, sheer numbers (plus some clever electronics and computing!) will do the rest.